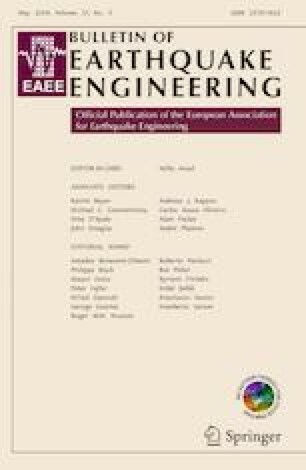 This paper presents an analytical method for large-scale vulnerability assessment used in order to simulate damage scenarios corresponding to those observed during past earthquakes in Italy. The method, already published in the technical literature with the acronym SP-BELA (Simplified Pushover-Based Earthquake Loss Assessment), has been adopted to calculate the vulnerability of the Italian building stock classified as reinforced concrete and masonry buildings. The current paper describes the calibration of the method through the comparison of numerically calculated damage scenarios and data on observed damage collected during earthquakes occurred in Italy starting from the 1976 Friuli earthquake. The use of observed damage data allowed to validate the method and to add reliability to the calculation of damage scenarios. The damage scenarios are useful to plan the emergency response immediately after an earthquake. Finally, a Web Geographical Interface System tool that implements SP-BELA to calculate seismic risk and real time damage scenario is presented. The authors would like to express their gratefulness to Dr. Elena Speranza for the constructive discussion that lead to a way to validate SP-BELA method using observed damage data. The support of Dr. Francesco Giordano and Mr Flavio Bocchi in interpreting the observed damage data has to be gratefully acknowledged. Finally, particular mention is due to Dr. Gerard O’Reilly whose comments and observations have considerably improved the quality of this paper. The current study has been beneficiary of Italian Department of Civil Protection funds. However, this does not necessarily reflect the ideas and official policy of the department.